It’s always hard dressing for cold weather running. In Amsterdam, temperatures rarely drop below 0C so it’s a matter of balancing between keeping warm at the beginning of a run while not getting too hot and uncomfortable toward the end. As a Sport Designer & Runner, this is an ongoing quest for me both personally & professionally and it’s something I will start to discuss on my blog. I’ve tried several combinations of brands & styles over the last few years. Today I tested Nike’s Dri-Fit Sprint Jacket with a long sleeve Nike Pro Combat Mock Neck as a base layer. 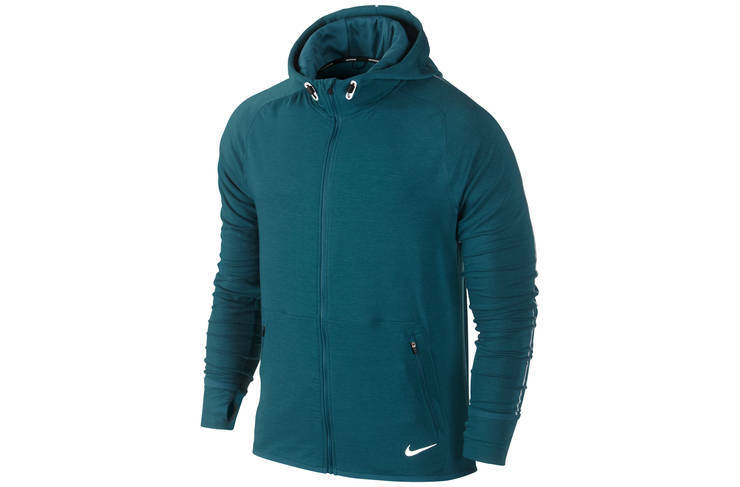 The Nike Dri-Fit Sprint Jacket was fantastic. The fabric was a really comfortable, light, very breathable and definitely warm enough. 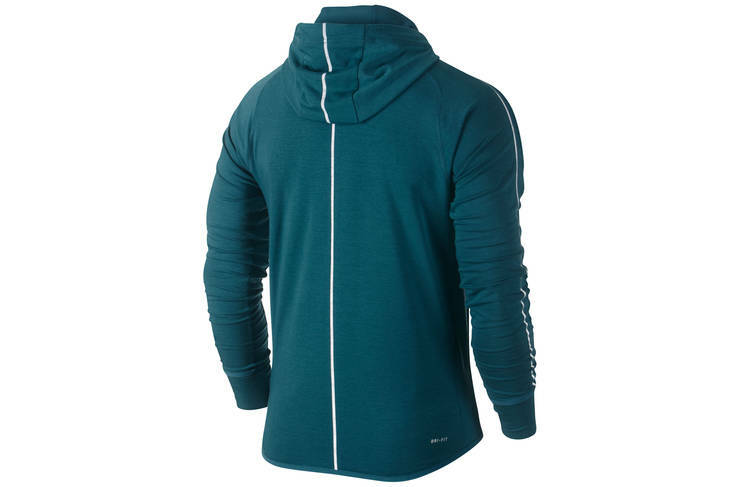 I like running in full-zip Hoodies as they give me the option to wear the hood when I set off or open up the zip if I get too warm. I also love the design of this Jacket, especially the longer / narrower, fashionable silhouette and reflective tapes set into the seams. 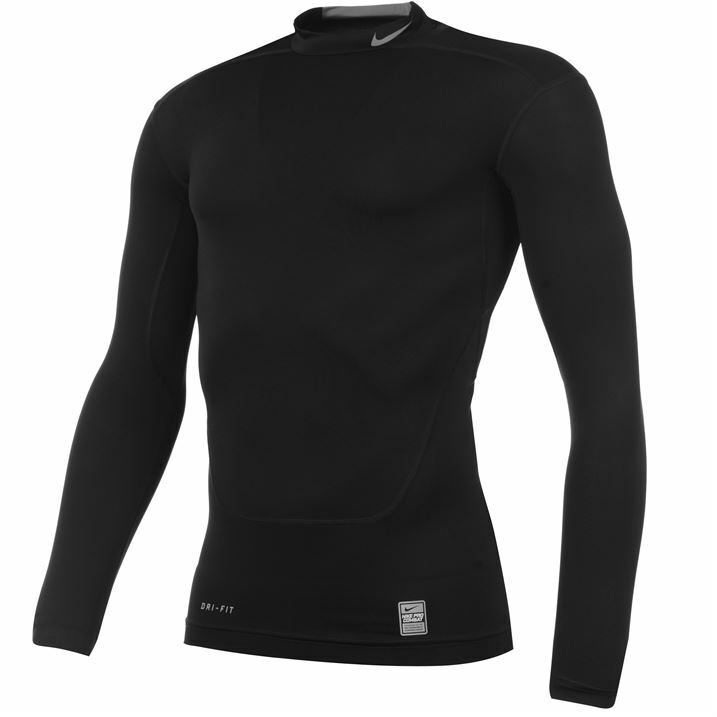 The Nike Pro Combat Mock Base Layer worked as a great combination piece with the Sprint Jacket. I’ve tried a lot of different base layers ranging from low (Decathlon) through to high (Nike/Adidas) price points. Generally, I’ve been happy with most of them but for me, this is the best so far. The fit is excellent and the mock neck feels and looks great at this time of year. The difference between this item and some of the cheaper styles out there is basically the design panels and fabric. The design panels genuinely gives the garment a better fit and are definitely not just there for show! The side panels wrap around the body and do not rub or chaff. Additionally, the Pro Combat fabric is very comfortable to wear. It is not too heavy but still gives a light compression. 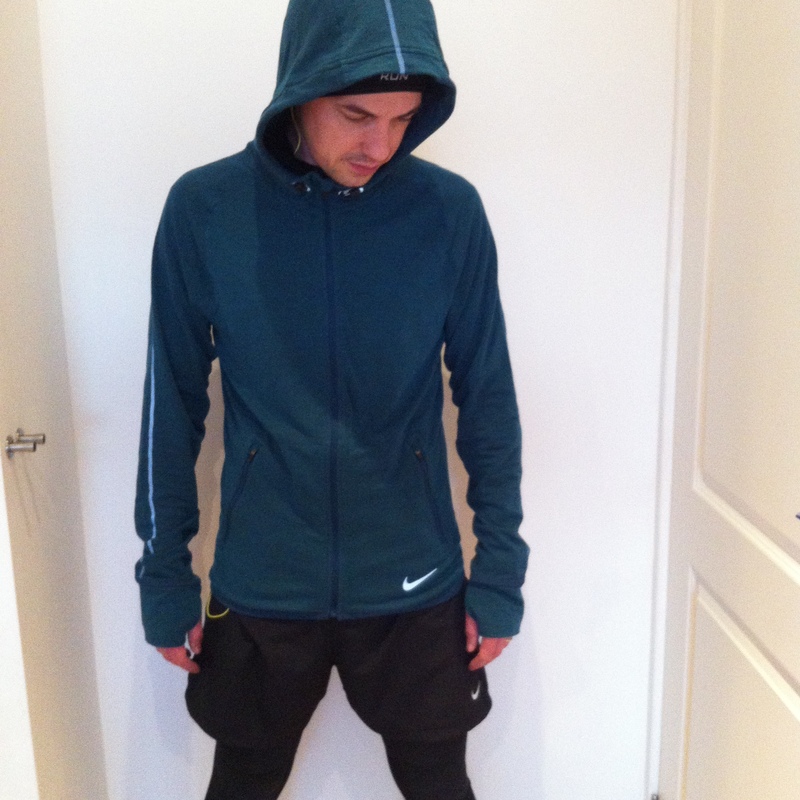 To summarise, this is my favourite winter running outfit so far. It was light and comfortable throughout my 10k. I set off with the hood up and the thumbholes pulled down and after halfway had to open the jacket up slightly. I’m really happy with both these purchases. I will be reviewing more product over the coming weeks & months.